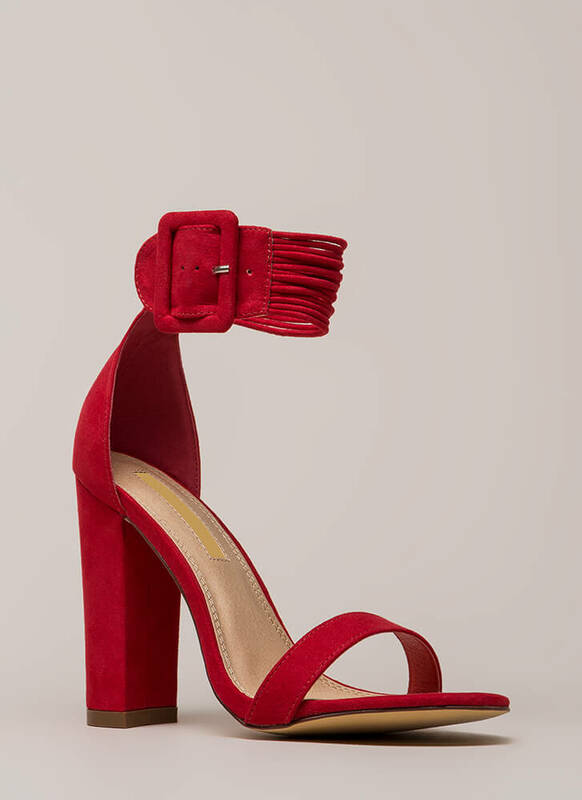 These cute, versatile shoes should live in harmony with the rest of your closet. 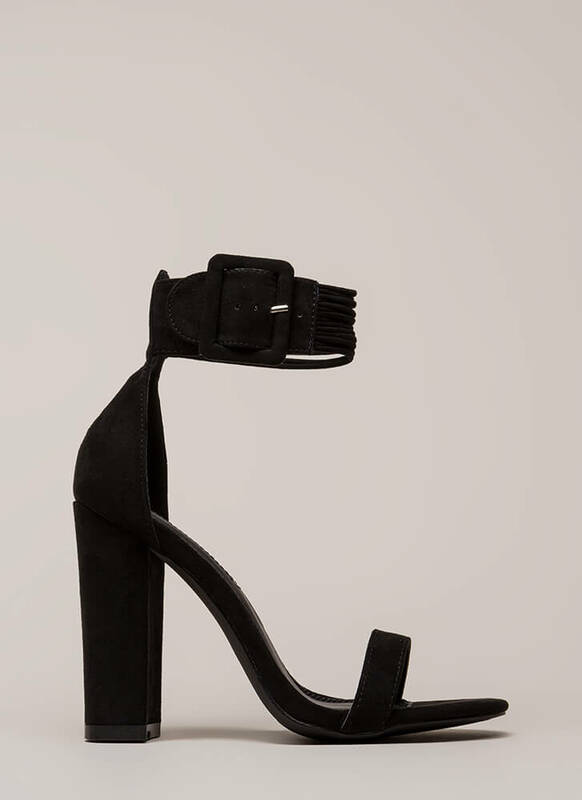 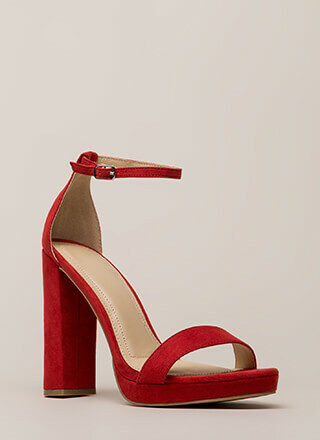 Chunky, open-toe, vegan suede heels feature a plain toe strap and an ankle cuff made up of several skinny cords and finished with an adjustable oversized buckle. 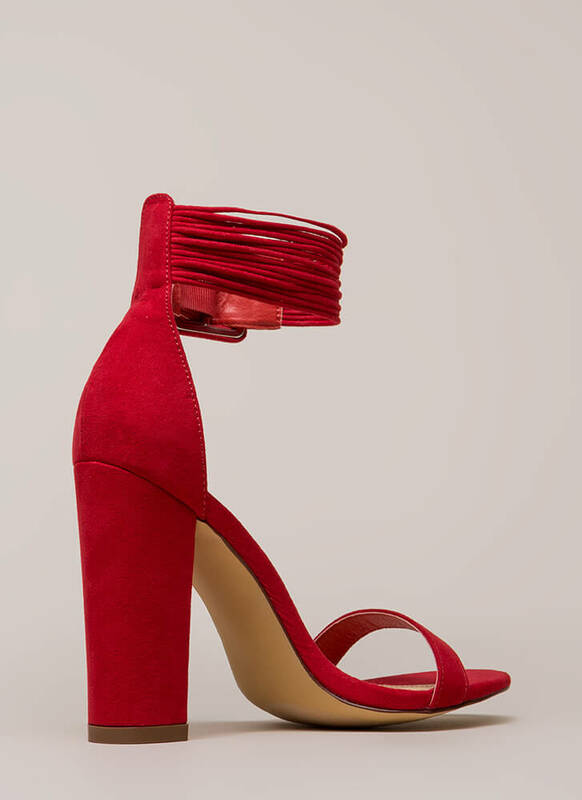 Shoes also include exposed sides and a ridged sole.